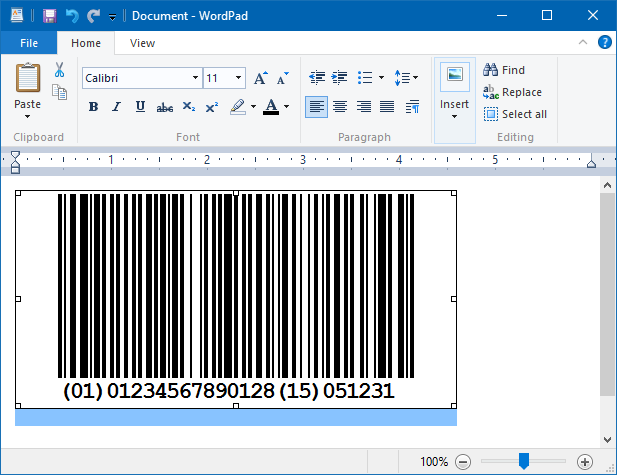 The barcode image is now placed to into your Wordpad document. You can handle this barcode inside your document as any other image (e.g. resize, move, etc. ).